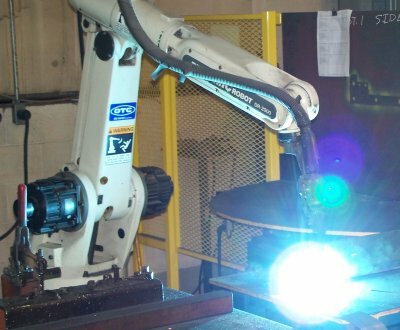 Using state of the art welding machines such as the Miller 350 pulse welders, and employing modern welding processes including manual or robotics, Straightaway Fabrications can fabricate and weld a wide variety of products in steel, stainless steel and aluminum. In both large and small quantity, we can provide you with top quality workmanship and attention to detail to meet your specifications. Whether we are building one of a kind, or engineering in house fixtures to produce hundreds of parts, Straightaway Fabrications can provide you with consistent quality and precision to satisfy your requirements.